It’s time to seek out the adventures you crave at heart. The amazingly versatile and capable new Jeep Wrangler Unlimited is here to get you there. It all starts when you visit Palestine CDJR FAIT and get behind the wheel. Jump into your Jeep Wrangler Unlimited and set your Uconnect 6.5-inch touchscreen display with turn-by-turn Navigation to your destination, and you’re off! Play hard in any weather and any terrain in your Wrangler Unlimited with ease. How, you might ask? Well, the 3.6-liter Pentastar V6 engine with 285 horsepower and 260lb-ft of torque gives you all the power you need to play as hard as you wish. With Trail Rated Traction Control, 4×4 System, and Hill Control, you can go anywhere in your Wrangler Unlimited. The Jeep Wrangler Unlimited is even capable of towing up to 3,500lbs when properly equipped. Don’t worry about getting a little dirt on the inside because Wrangler Unlimited also features removable plugs, allowing you to easily hose down your interior after a weekend of fun in the mud. The rugged and capable Jeep Wrangler Unlimited may seem like it’s all about the good times, but it also provides much-needed safety and security for you and your crew. Electronic Stability Control and Electronic Roll Mitigation help keep Wrangler Unlimited upright, even on the toughest climbs. You can stop on a dime with the 4-wheel Anti Lock Brake System and tow with confidence with the Trailer Sway Control feature. Multistage front airbags and a high strength steel frame offer added protection if you should happen to have an unfortunate collision. You can rest assured that your Jeep Wrangler Unlimited was built tough to keep you safe and sound. You know you want the new Jeep Wrangler Unlimited. The real question is, which one? 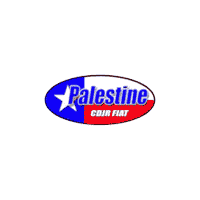 Palestine CDJR FIAT is proud to boast a diverse selection of Wrangler Unlimited models for the choosing. Our main concern is making sure you’re completely satisfied with every aspect of your shopping and buying experience. Our customers know that they’re always in capable, trustworthy hands with our dedicated team of Jeep experts. Contact us with your questions or to set up your exciting test-drive. Let the fun begin in your new Jeep Wrangler Unlimited.